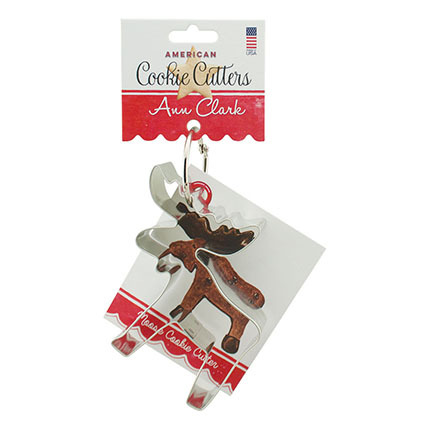 I ordered a dozen of the moose cookie cutters to give as office gifts, along with my great-grandmother's recipe for rolled molasses cookies. The moose is so cute, and looks great as a molasses/gingerbread cookie, with no decorating! The shape turns out great with the brown cookie dough. Add a dried currant for an eye if you like, and it's good to go! Adds a super cute "farmhouse" look to your cookie trays. The cutter is excellent quality and made in the USA. My work friends loved them!